The water project has helped us use our time for studies. This has had a positive impact on the academic performance for pupils and the school in general. 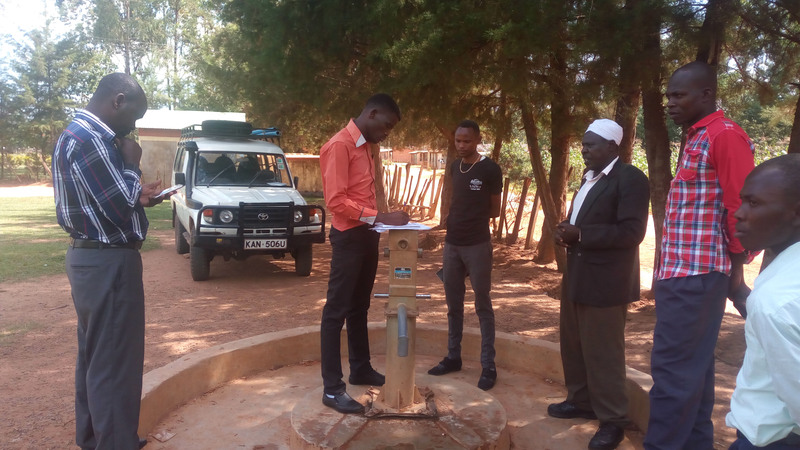 The project has promoted a mutual relationship between the school and the community, as community members now have access to the water point. A year ago, generous donors helped rehabilitate a well with Lugusi Primary School in Western Kenya. Because of these gifts and contributions from our monthly donors, partners can visit project sites throughout the year, strengthening relationships with communities and evaluating the actual water project. These consistent visits allow us to learn vital lessons and hear amazing stories – we’re excited to share this one from our partner, Paul Weringa with you. Clean water has transformed Lugusi Primary School into a conducive learning environment where students have the health and energy they need to perform well. Good sanitation and hygiene have transformed the environment – there is now enough water to clean classrooms and latrines, and students know to pick up their litter. 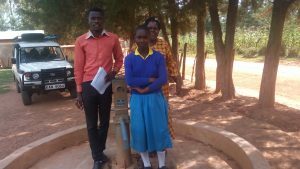 We met Headteacher Henorica Mulupi at the well to talk about other ways clean water has affected her and her school. She said, “The water project has helped us use our time for studies. This has had a positive impact on the academic performance for pupils and the school in general. The project has promoted a mutual relationship between the school and the community, as community members now have access to the water point.” She also mentioned that the student health club at the school has taken hygiene and sanitation seriously, working hard to keep their environment clean. Paul speaking with church leaders and community members about their experience using the well located at this school, and how it’s important they contribute to its management and maintenance. 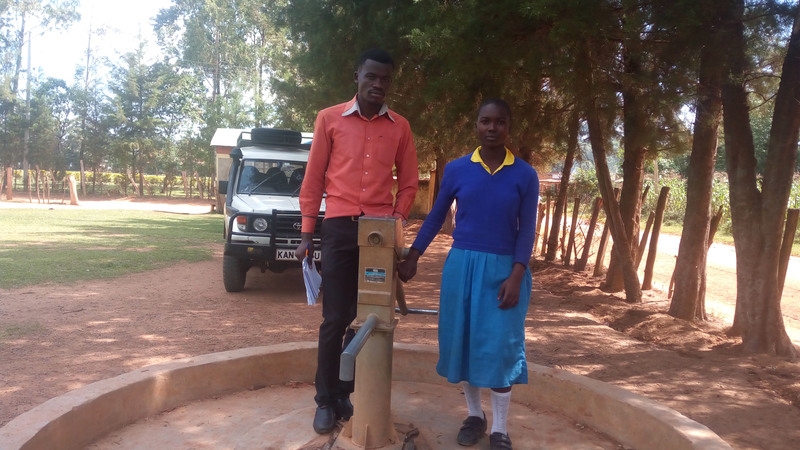 Paul and student Carolyne Munyasi at the well. The Water Project and our partners are committed to consistent monitoring of each water source, which keeps us in constant contact with communities and schools. These visits will reveal any problems that emerge at Lugusi Primary School in the future. Our monitoring and evaluation program, made possible by monthly donors, allows us to visit communities up to 4 times a year. Read more about our program and how you can help. When you invest in The Water Project, you're investing in people like Henorica Mulupi. Your gifts help us reach more communities with the gift of clean, safe water. And every drop helps unlock potential.